My very first post on Earthsvoices was about the heroic stand of Larry and Bette Haverfield and their work for the grasslands and the black-footed ferrets. What many ranchers in western Kansas see as a “prairie dog problem” to Larry is really a problem of the lack of predators. The destruction of prairie dog villages has destroyed the predators. It’s all about balance, you see. keeps me up to date on her father. She recently emailed me an article by Wil S. Hylton in Harpers Magazine entitled Broken Heartland. 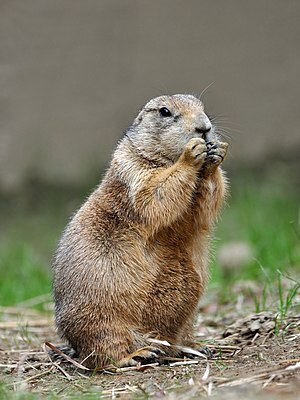 Larry and the prairie dogs‘ story begins at the bottom of page 11.